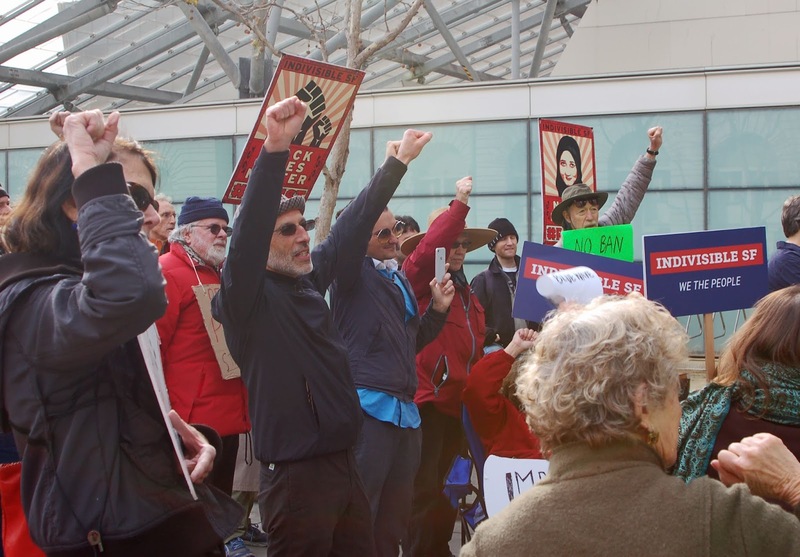 IndivisibleSF rallied energetically outside newly re-installed House Speaker Nancy Pelosi's local office today. Apparently there are plenty of activists who have no intention of allowing themselves to be reduced to political spectators now that the midterm elections are over. I'm a little embarrassed to admit I'd never been to an Indivisible rally before. My active politics has taken place in other settings. I enjoyed this; the folks in attendance were a lot like many volunteers on the Reno campaign, lots of older people, probably retired, who could get off at midday on a Thursday. The content was fascinating, consisting of a series of speakers offering a sort of basic civics course. They explained how Congressional procedure works and fails to work, gave a short history of immigration panics going back to President John Adams, added some Constitutional basics (too abstract for my taste), and finished with an explication of HR 1, congressional Dems' voting protection reforms put forward in the new Congress. 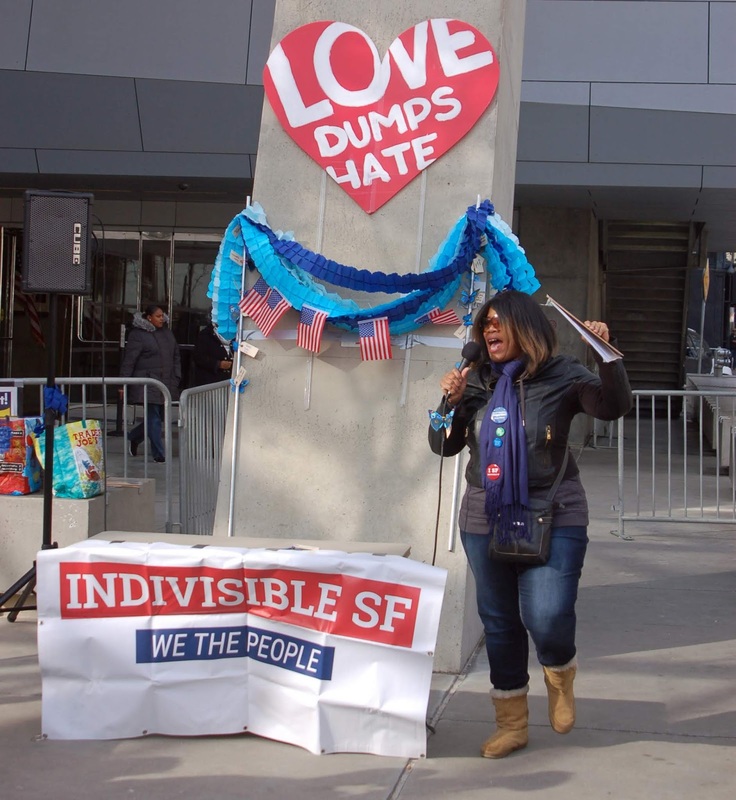 This sort of thing is hard to do while yelling into a mic on a street corner; IndivisibleSF speakers achieved it audibly and accessibly. The recent campaign showed me that civics education is something we need at every level. On that campaign, it proved helpful to start by explaining what a new Senator and new Governor might be able to do. Even informed citizens don't have that information foremost in their minds. 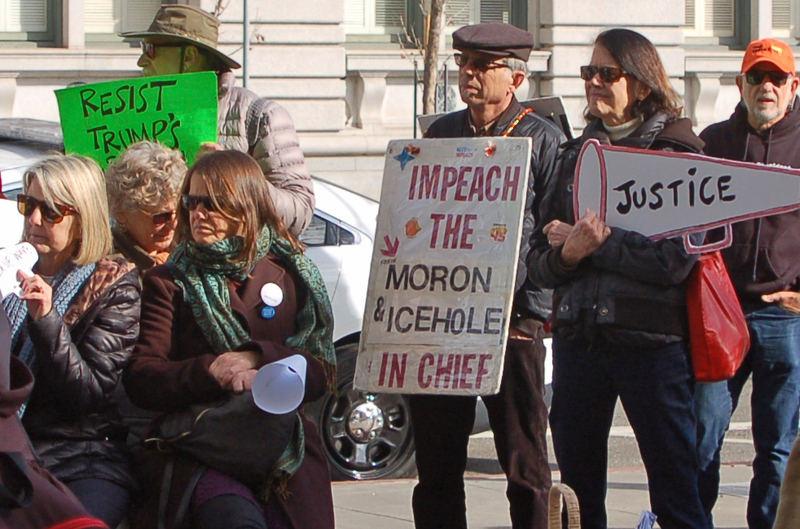 This crowd was on the immediate impeachment track. I think they'll be tolerant if they see Dems in Congress doing the work of building a case from among Trump's manifold crimes against our system and the people. But they'll howl if they are convinced their newly elected representatives are dragging their feet. WE ARE THE WALL AND TRUMP WILL PAY! This rally embodied the spirit we'll need for years of #resistance. And for an arduous project of democratic reconstruction once we win. They might succeed in impeaching and even removing him from office. They should think of the old adage 'out of the frying pan into the fire' as in be careful what you wish for. Pence is a far scarier religious zealot with a lot of goals that Trump would never have as he's not really religious. 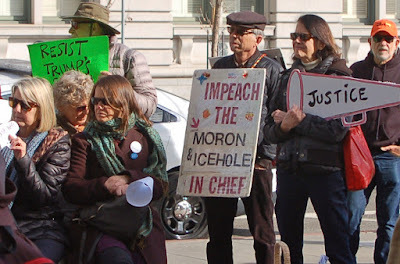 Some have said impeach them both. Well, you have to have grounds-- not political either. No Republican Senate would EVER give Pelosi the presidency. I think a desire for revenge can backfire in many ways-- and hate even more so as it only really hurts the hater-- unless the hater is a terrorist. If they instead encouraged the issues that are important to them and work to get those, they'd do more for the people-- if they really care about the people. "My faith is the key to my optimism." What is truth in Trump's season of lies?